Welcome to our alternative guide of non-touristy things to do in Bologna! 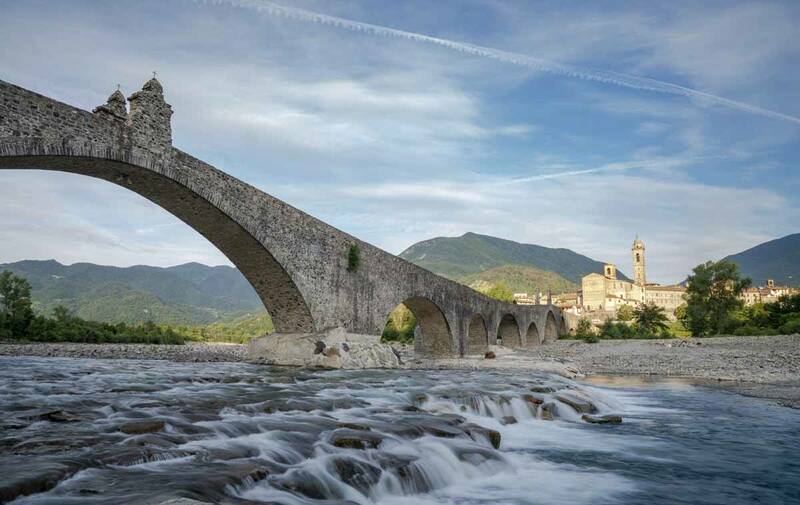 Yes, we all know the city is great for aperitivo, food and gelato, but really… there’s a lot more to it! The days when Bologna was a hidden secret are well and truly gone. Now, Bologna was never a cute Italian village with tiny old ladies hand-rolling pasta on street corners – it’s one of Italy’s largest cities, and it has long been known for its gastronomic tradition, delicious local produce, and vicinity to other foodie hotspots like Modena (home to the best restaurant in the world! ), Parma, and Rimini. Yet, I think it’s safe to say that tourism in Bologna has truly boomed in recent times. Our last visit to the city was three years ago, when we used the city as a base for adventures in the Po Delta and Romagna Apennines. 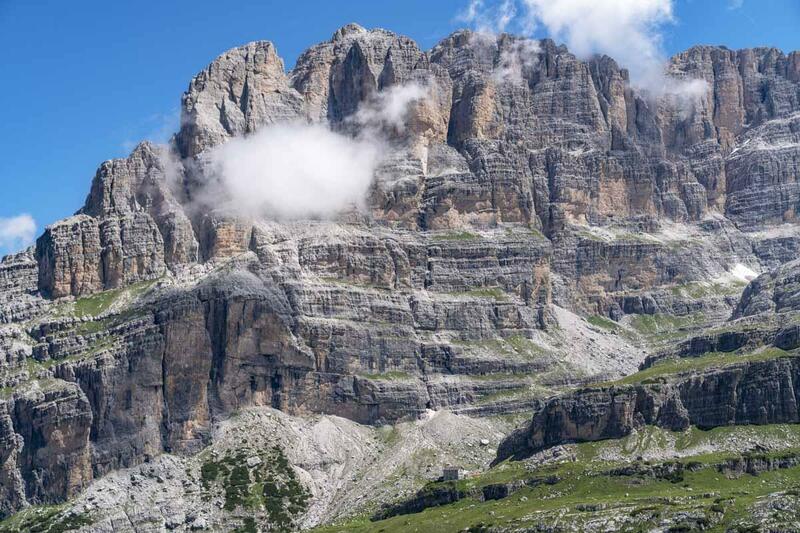 It was early summer, and there were tourists about – but nothing like what we saw during our visit in June 2018, after hiking the Via degli Abati. The streets of the Quadrilatero, Bologna’s ancient produce market, were filled to the brim with international tourists swilling Lambrusco and munching down on mortadella. We saw people having picnics on the steps of private homes, waving their cameras in shopkeepers’ faces and leaving litter behind. 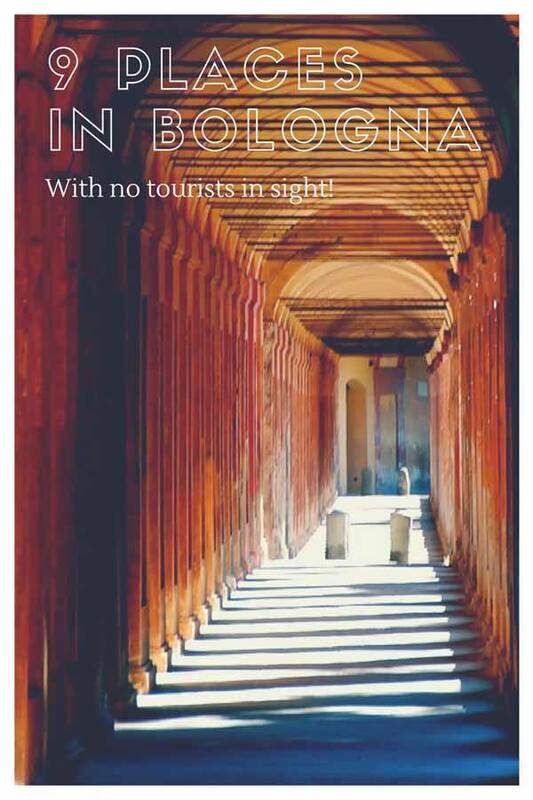 Is overtourism about to reach Bologna? To be honest, I don’t know. The large majority of tourists we saw were packed around the Quadrilatero, Piazza Maggiore and a few other spots in town. Away from those streets, Bologna was chilled as usual, buzzing with students and creative energy. I honestly didn’t get why everyone seemed to crowd around the same four streets. 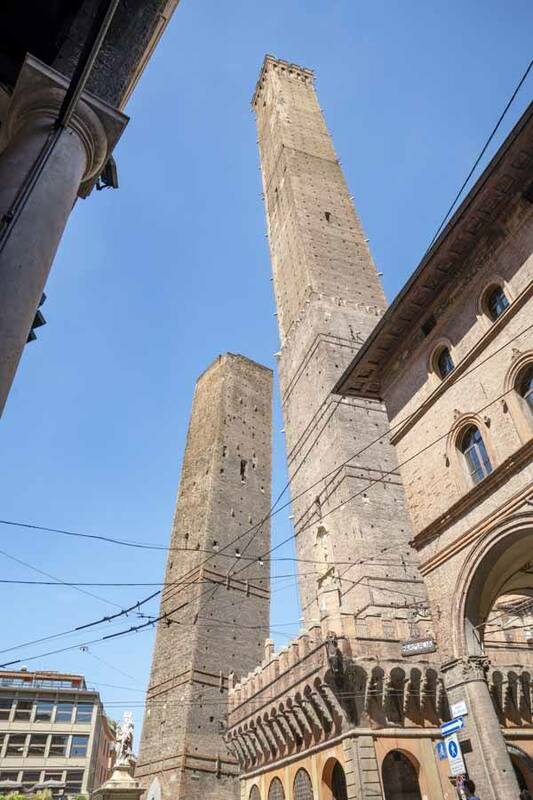 Bologna is full of unusual places to see – many of which also happen to be free! 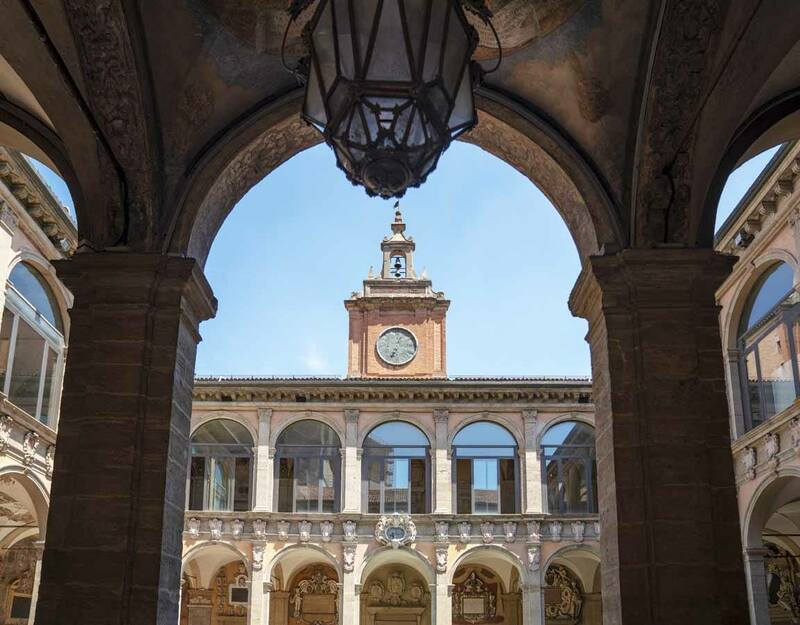 Several of Bologna’s alternative sights are part of the University – visiting them means taking a journey through the history and discoveries of this institution, that more than any other contributed to creating the Bologna that we know today. A city that dares to be different. 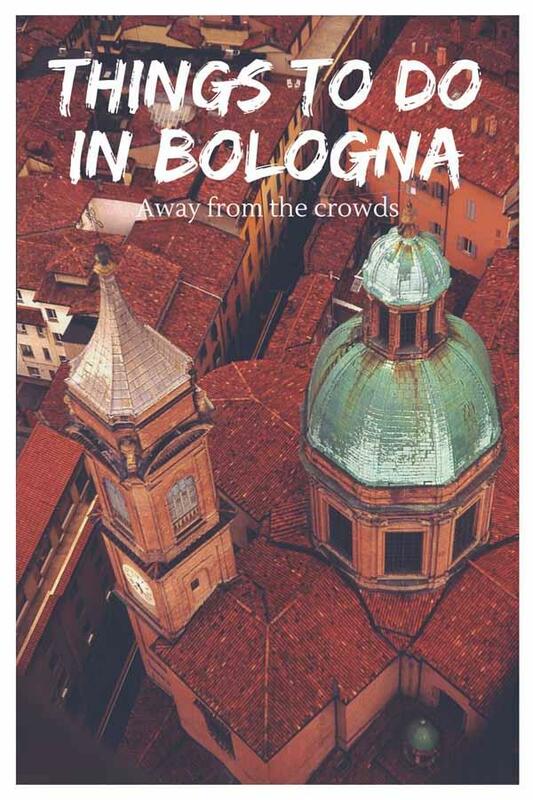 So, here’s our guide of non touristy things to see in Bologna – some creepy, some unusual, some just plain weird, including some of our favourite places to eat with no tourists in sight. You can’t really visit Bologna without enjoying some of its delicious food now, can you? One of my favourite alternative places in Bologna is the Anatomical Theatre, located in the Archiginnasio, just a few steps away from Piazza Maggiore. The Archiginnasio was built in the 16th century and was once the main building of the university, uniting all faculties that were previously scattered across town. The Anatomical Theatre was completely carved out of spruce, and used for the dissection of cadavers, the technique used for centuries to teach anatomy. A copy of the marble table were corpses were placed still stands at the centre of the room, right opposite the teacher’s chairs and the benches where students used to sit. The original table is kept at Palazzo Poggi, also part of this list of cool and unusual things to see in Bologna. 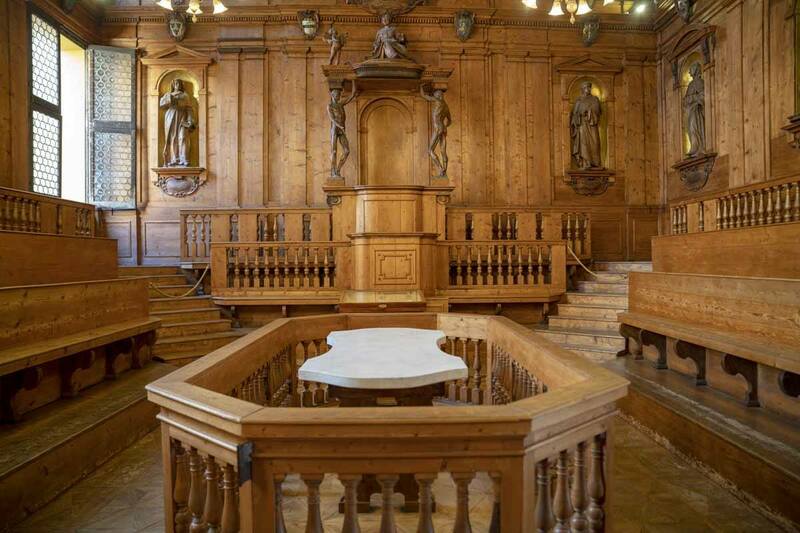 You’ll be surprised by seeing everything in excellent condition – the Anatomical Theatre was heavily damaged by bombs during World War 2, and it has since been rebuilt using original pieces. You’ll notice the teacher’s chair, with a canopy held by the two ‘spellati’, statues depicting flayed men, and the allegory of Anatomy depicted as a goddess, with a little angel offering her a thigh bone as if it were a flower. The walls are covered with statues of famous doctors, like Hippocrates and Galenus, and the ceiling is decorated with Apollo and astrological symbols, highlighting the ancient link between anatomy and astrology. Lovers of oddities and quirky things shouldn’t miss the Palazzo Poggi Museum, located in the building that used to house the ancient Istituto delle Scienze e delle Arti (Institute of Sciences and Arts), a building that was conceived to collect all scientific and artistic knowledge, and was described by J.W. von Archenholtzt as ‘a sort of encyclopedia for the senses’. The museum is divided in rooms dedicated to all sorts of different topics – from natural history to physics, chemistry, nautical science and military architecture. We spent most of our time at Palazzo Poggi in two sections of the museum – the first was natural history, where we visited the collection of Ulisse Aldrovandi, a Bologna native considered the founder of modern natural history, and the first to try and catalogue animals, minerals and plants. After being sentenced for heresy and serving his sentence, Aldrovandi began assembling his wunderkammer – a collection of various natural history exhibits, that now forms the heart of the collections of many Bologna museums. In Aldrovandi’s room there are various animal skeletons, lots of different reptiles and fish, fossils and drawings of plants and animals. Right next door you’ll also find Marsili’s natural history collection, including some stunning corals and even a narwhal tusk – the real life unicorn of the abyss! Yet, the weirdest part of the museum is probably the one dedicated to anatomy and obstetrics. Anatomical waxworks were once the only way, besides cadavers, to show people the inside of the human body. Bologna was Europe’s centre of science for centuries, and the making of anatomic and obstetric wax models was a true art form. 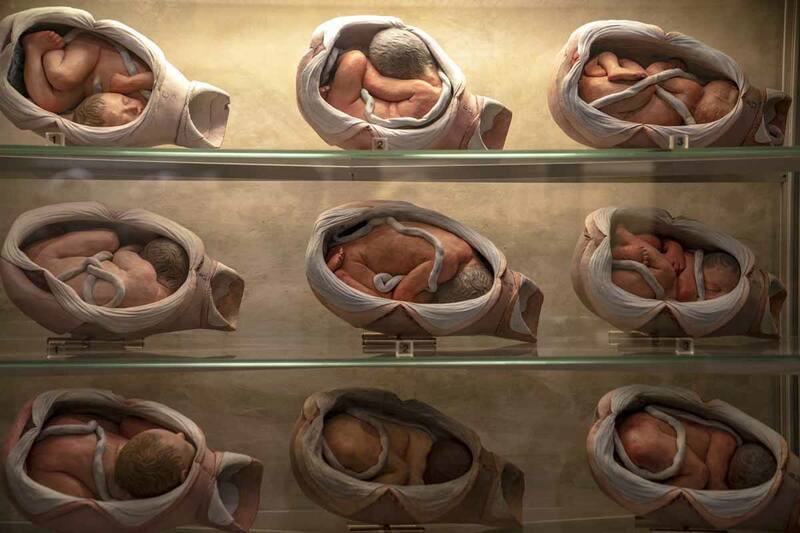 Palazzo Poggi contains a spectacular collection of wax models showcasing all stages of pregnancy, the various positions of a full-term foetus prior to delivery, and a ‘birthing machine’, used to simulate delivery. 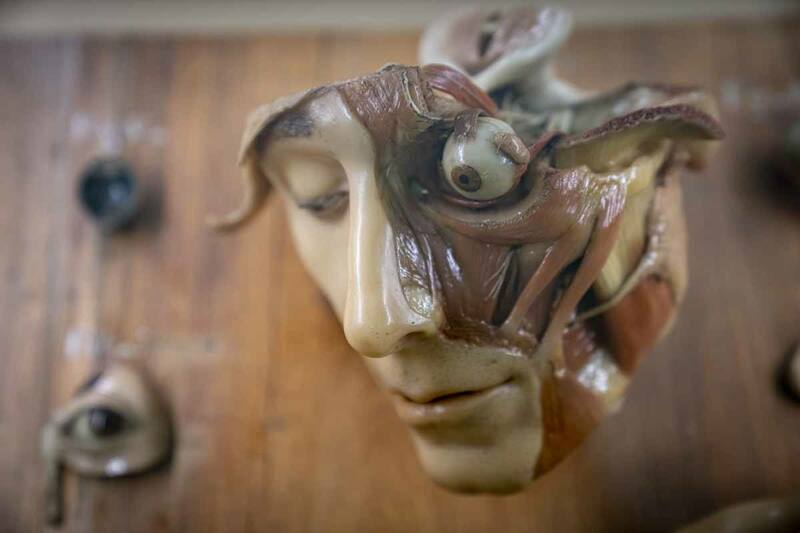 The next two rooms are only for those with a strong stomach – you’ll find wax models of entire bodies and individual parts, complete with nerves, muscles and bones. However, the highlight of the entire anatomy collection is probably the Venerina, the wax model of a pregnant young woman, reminiscent of a ‘sleeping venus’ – albeit with her abdomen cut open, complete with removable organs. Opening Hours: 10am-4pm Tue-Fri, 10am–6pm Sat-Sun, closed on Mondays. If you haven’t had enough of anatomic wax casts, fear not! There’s another entire museum dedicated to anatomic models. 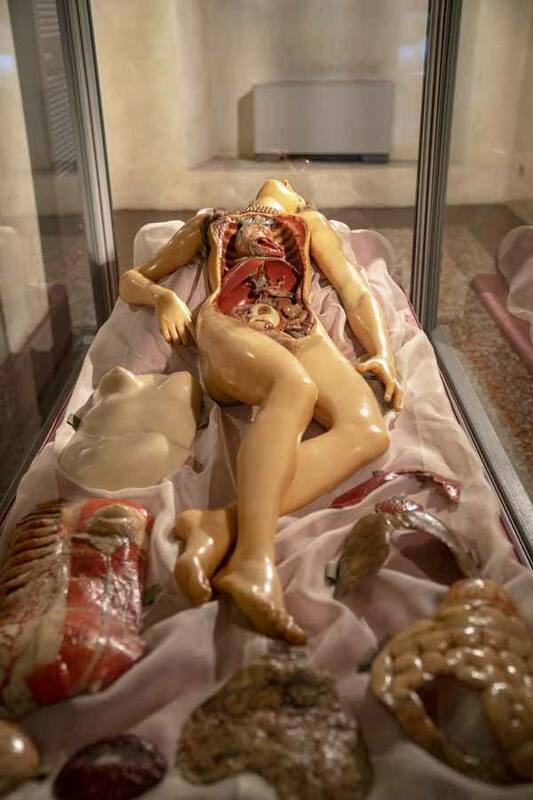 Whereas the wax models of Palazzo Poggi show ‘regular’ bodies and parts of the same, the specimens located in this museum seem to show the effects illnesses and malformations – think Siamese twins, rashes of all sorts, enlarged organs, tumors on all kinds of body parts, you name it. Have you ever wondered what your head and eye look like with no skin? However, what makes this place double creepy, is the fact that it also contains actual skeletons of foetuses and babies born with malformations or without body parts. Sometimes the remains have been poised in a kind of macabre dance. If you can see their scientific value, and move on from the fact that these are the bodies of actual people, you’ll love this place. 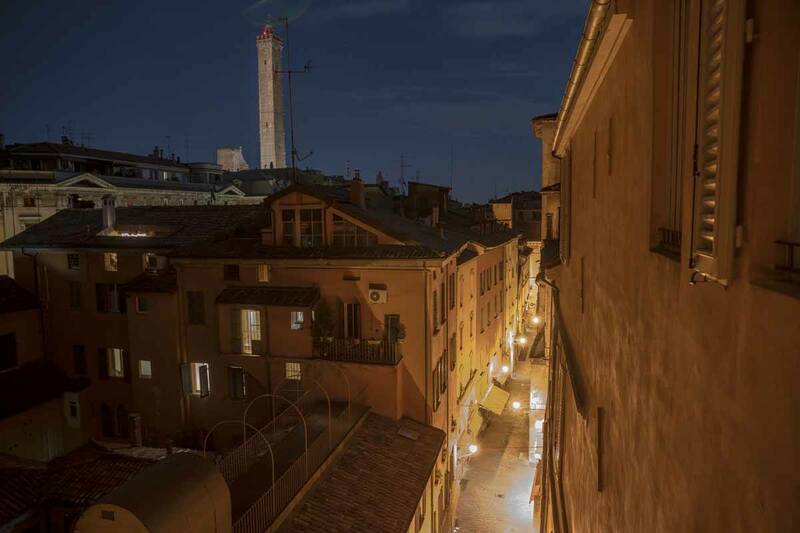 This is probably Bologna’s ultimate creepy thing to do – and it’s free! Opening Hours: 10am-1pm Mon-Fri, 10am–6pm Sat-Sun. Check out Some Cool Bologna Tours Here! After getting your fill of deformed wax skulls and the like, head next door to a lovely, relaxing place – Bologna’s botanical garden, founded by Ulisse Aldrovandi in the 16th century to teach medicine students how to recognise and study the semplici, the medicinal plants used at the time. Nowadays, the Orto Botanico is one of the most pleasant free things to do in Bologna away from the tourists. It has about 1800 different plant species, four greenhouses and spaces dedicated to carnivorous plants, succulents and even a rocky garden. We visited on a hot summer afternoon and there wasn’t a soul. Just find a bench in the shade, grab a book and you’ll forget you’re in a big city! Lovers of weird things and oddities, you really can’t pass up this Bologna museum! 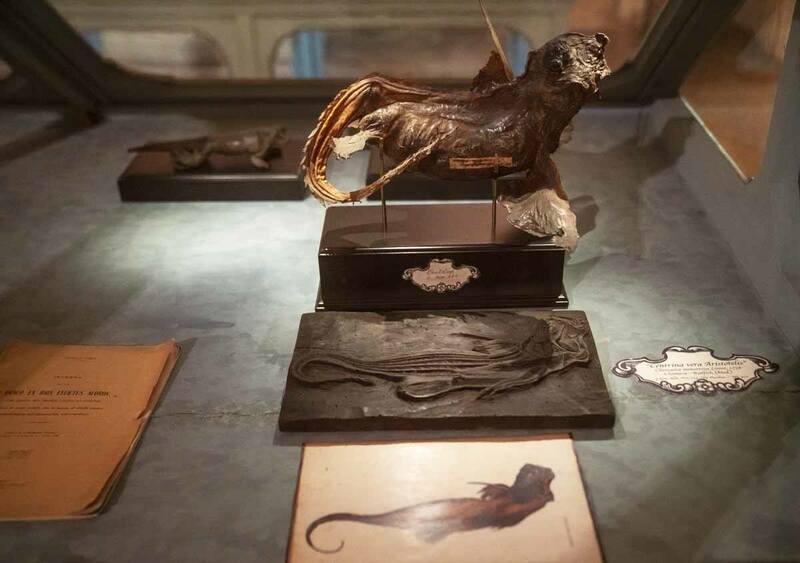 After marvelling at the human body at Palazzo Poggi and the Museo delle Cere Anatomiche, head to the Zoological Museum to learn about the animal world. The nucleus of the Zoological Museum collection was, once again, Aldrovandi’s collection – but the exhibits have since grown and include hundreds of weird and wonderful taxidermy animals, as well as formaldehyde jars full of species of all kinds, bleached by light and time. The museum is a little dusty and ‘old style’ – kind of like the Egyptian Museum in Cairo, to give you an idea. It is also one of the most fun and unusual free things to do in Bologna, a little surreal in parts. A huge sunfish hangs over the main room – some say it is the one found in 1934 on a beach in Rimini, that gave the young Federico Fellini the inspiration for the closing scene in La Dolce Vita. 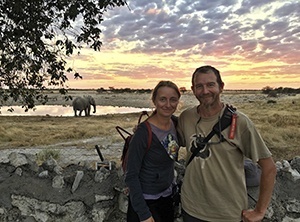 Wandering around, you’ll be followed by the beady eyes of mounted giraffe and zebra heads, grinning bears and toothy monkeys, and even a selection of ‘big cats’. For some reason, children seem to love this place – the white owl (aka Hedwig! ), pelican and hummingbird exhibit were described to us as a ‘family favourites’. I really loved the two dioramas dating back to the 1930s, depicting the Abruzzo and Gran Paradiso National Parks, the first two Italian National Parks to be established. At first sight, this church looks like many others in Bologna. An imposing Baroque number, with gilded columns and frescoed domes – you may be tempted to walk out, but trust me, just follow the sign pointing to the ‘Cappella della Santa’ on the left nave, next to a wooden door. Ring the doorbell, and wait to be buzzed in. Walk through a couple of rooms, until you’ll see it – a 500 year old mummified body, sitting on a gilded throne. If you ask me, this doesn’t even qualify as weird – it’s definitely Bologna’s creepiest tourist attraction. The body sitting on the throne in a full nun robe is that of Saint Catherine of Bologna, a 15th century nun famous for her love of arts and music – her viola is displayed alongside the body. There’s also a cabinet of relics including bones and skulls of other saints. There are often devotees in prayer in front of the saint’s body, and nuns in the room just next door willing to join you in prayer or listen as you share your thoughts. Personally, I found it so creepy I couldn’t wait to get out – but I think this church definitely deserves a place in this alternative guide to Bologna! Opening Hours: The Chapel is open Tue-Thu-Sat-Sun 9.30-11.30 am / 4-5.45 pm. However, the church is open every day – when the chapel is closed, you can see the saint’s body from a grate on the left hand side of the church, near the main altar. So far, I’ve focused on weird and creepy things to do in Bologna. The Museum for the Memory of Ustica is born from a tragedy, the plane crash of June 27th, 1980, when a plane flying from Bologna to Palermo inexplicably crashed just off the Sicilian island of Ustica. Over the years, several different hypotheses were advanced to explain the accident, where 81 people lost their lives. It was finally admitted that the plane was shot down by mistake, but those responsible have never been brought to justice. The Museum contains a single installation – the reassembled wreckage of the plane, surrounded by 81 pulsating lamps and 81 black mirrors, each covering a loudspeaker repeating a series of random thoughts. The passengers’ belongings are also kept in the museum, but they’re placed into black boxes to prevent voyeurism. There’s a small book available with the pictures and stories behind each object. Opening Hours: Thu-Fri 9 am-1 pm, Sat-Sun 10 am -6.30 pm. Opening times are extended in late June in occasion of the anniversary of the crash. Well, this does indeed look like Venice – but I can assure you the picture was taken in Bologna, in Via Piella to be exact, only about a 10 minute walk from Piazza Maggiore. 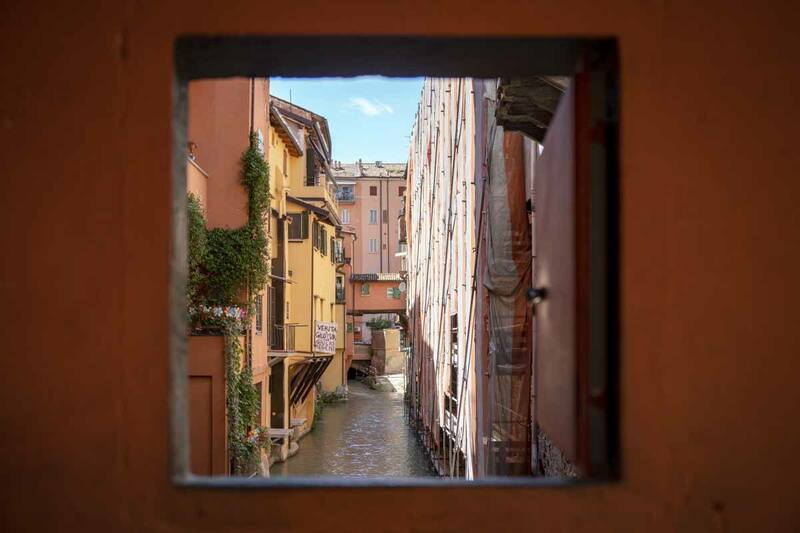 This small window provides a glimpse into Bologna’s long-lost canal network – similarly to many other Italian cities, Bologna was crossed by a network of canals, used to carry people and goods before the arrival of road and rail transport. Most canals have been covered over in the early 20th century, and only a few survive – Milan has the Navigli, and in Bologna you can see the Canale delle Moline, connecting the two rivers of Bologna with a sophisticated lock system that dates back to the 12th century. The Via Piella window is probably the coolest viewpoint over Bologna’s canals – or there’s also a bridge right opposite. My mum always used to say to me ‘When you see San Luca, you know you’re close to Bologna’. The red walls and dome of San Luca stand on top of the Colle della Guardia, a hill right outside Bologna, greeting visitors and locals returning home as they have done for centuries. The Sanctuary houses a 10th century Byzantine icon of the Virgin Mary, which is believed to have miraculous properties. To be honest, I think San Luca is worth a visit for two much better reasons – the first and foremost is because it’s connected to Bologna by the longest porticoed arcade in the world, 3.8 km with 666 arches, constructed to protect the sacred icon from the rain as it’s paraded around the city. The second is the wonderful view over the city and the colli bolognesi (Bologna hills) you get from the top, which is definitely worth the hike! If you don’t mind walking uphill, you can follow the porticoes from Porta Saragozza in central Bologna all the way to the Basilica. Alternatively, catch bus number 58 from Villa Spada (a short walk from the centre) to the Sanctuary, and then walk back! Bologna is also one of the best places in Italy for street art. There are literally hundreds of street art pieces all over town, from simple paste-ups to big walls, and some really big names have left their mark all over town – from Alicè to Ericailcane, not to mention Blu, probably Italy’s best known street artist. When we visited last, we picked up a handy street art map free of charge from the tourism office in Bologna. However, the street art landscape changes very quickly – unlike some other cities like Edmonton where street art is largely accepted and supported by the municipality, the street art panorama in Bologna is still a bit ‘guerrilla’, and new art shows up periodically all over town. The two main street art hotspots in Bologna are Bolognina, the former ‘workers neighbourhood’ to the north of the train station, and the university area. In Bolognina we saw two large walls painted by Blu over a decade ago, when he was still a student in Bologna – the pieces have since been destroyed in protest against a decision by the municipality to move the pieces to a museum and charge an entrance fee. In any case, Blu may be gone – but there’s still plenty of street art to find and enjoy in Bologna, often interpreting the alternative political atmosphere that makes this city one of the last ‘free’ places left in Italy. And if you ask me, going street art hunting may very well be the best free thing to do in Bologna! -Osteria del Sole – the oldest pub in Bologna, open since 1465! This wine bar is ideal for a drink during the day or evening and attracts a mixed crowd of locals, students and those few brave tourists that manage to find it – there are no signs outside. Grab a glass of wine and enjoy the atmosphere, but don’t forget that food is not served, so if you need to eat you’ll have to BYO. Nobody will mind! -Osteria al 15 – one of the best places serving traditional Bolognese cuisine in the historic centre, offering excellent value for money. Start with a tagliere di salumi (cured meats selection) with crescentine or tigelle (fried or grilled bread) and then move onto the delicious home made pasta, or lasagna if you are really very hungry! -Pasta Fresca Naldi – my favourite place in Bologna for lunch and one of the best for pasta! This is a small hole in the wall fresh pasta shop, also offering to-go boxes of freshly cooked pasta. My favourite are tortellini pasticciati with meat and bechamel sauce! Yum! You can enjoy your pasta at the bar located opposite Pasta Fresca Naldi, just order some drinks. -Berberè – a tasty modern pizza shop near the University area, with quality ingredients, an urban vibe and craft beer. -Stefino Organic Gelato – there are hundreds of excellent ice cream shops in Bologna, but this is the one we like the best because of their eco-friendly approach, delicious vegan ice cream and creative flavours like turmeric, matcha and ‘mediterraneo0 with pine nuts and pistachio. 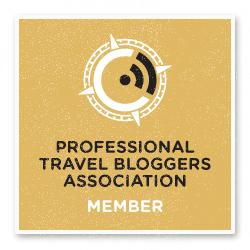 Our trip was sponsored by Turismo Emilia Romagna as part of the Blogville project. We would like to thank Silvia because she’s a star and makes Bologna a special place.